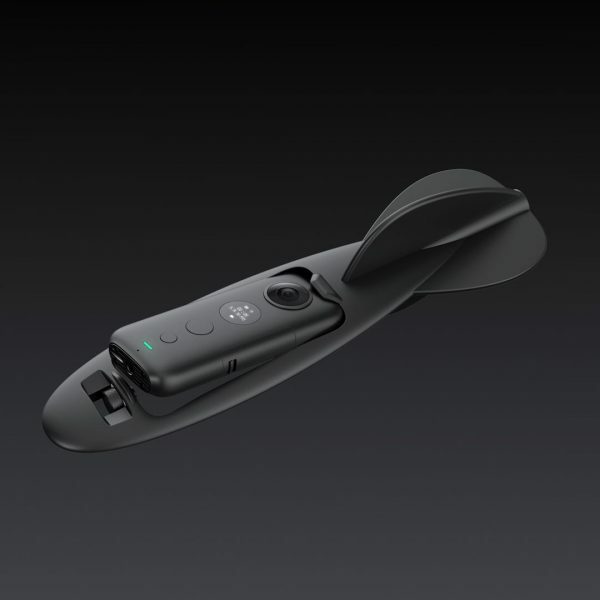 Just when GoPro thought they had finally made waves with the launch of the Hero 7, Insta360 comes along with the One X, a camera with image stabilisation so good you won’t need a gimbal, and accessories so innovative that you’ll never need a drone again either. Well, so they say. 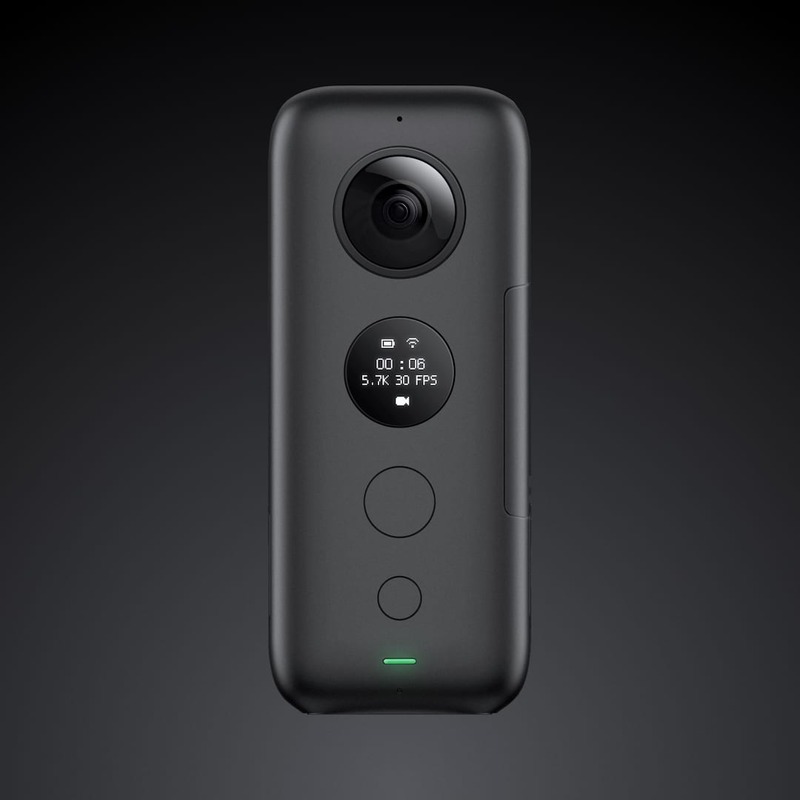 As the name suggests, Insta360 is a camera company that specialises in creating 360 action cameras rather than what you might consider a “traditional” action camera. 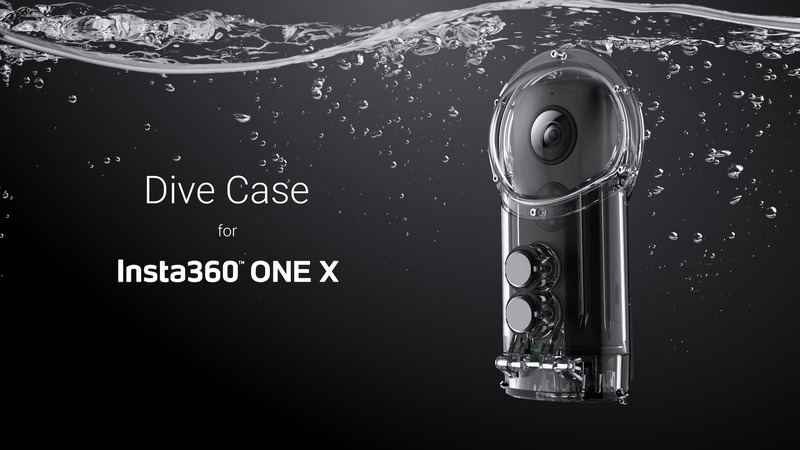 Like the Insta360 One, which we had a look at here, the One X is a slender camera unit with 2 image processing sensors and dual wide angle lens that captures the action while the onboard processor stitches it all together for a full 360 view. Double the cameras = double the fun? We’ve seen 360 cameras in the past, but Insta360 offer a lot of very innovative features with its designs and use the benefit of 360 video to make image capture, and video edition a whole lot more cinematic. Before we get into the benefits of 360 on the Insta360 One X, let’s first look at the tech specs of this new device. The front of the Insta360 One X displays vital info. 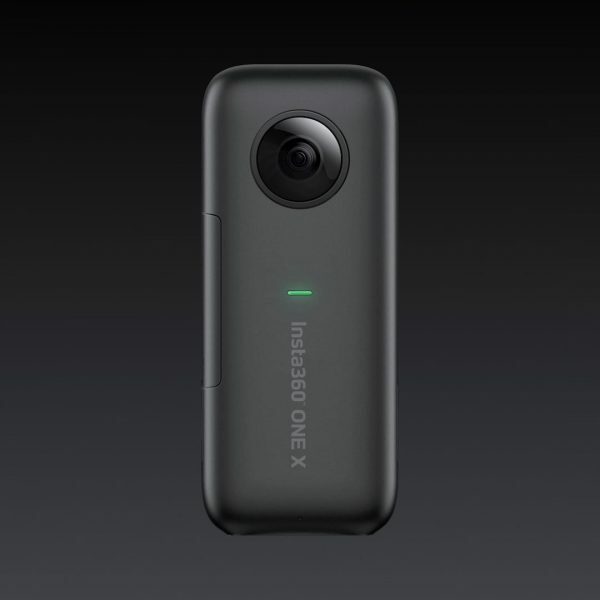 First of all the One X boasts a video resolution of 5.7K. We’d wager that’s significantly more than your TV at home, but the One X uses that super high resolution to create stunning 360 spheres that can be cropped and edited while retaining clarity. The rear, but as the One X shoots in 360 front and rear doesn’t really make a difference. In addition to upping resolution, Insta360 has also upgraded its own FlowState image stabilisation algorithm which gives you gimbal quality stabilisation without the need of a gimbal or even optical image stabilisation. But as this system is dealing with 360 videos an even smoother end result is possible. With clarity and stabilisation taken care of, this action camera maker has also taken aim at the drone market, and claim that with the One X you won’t actually need a drone again. 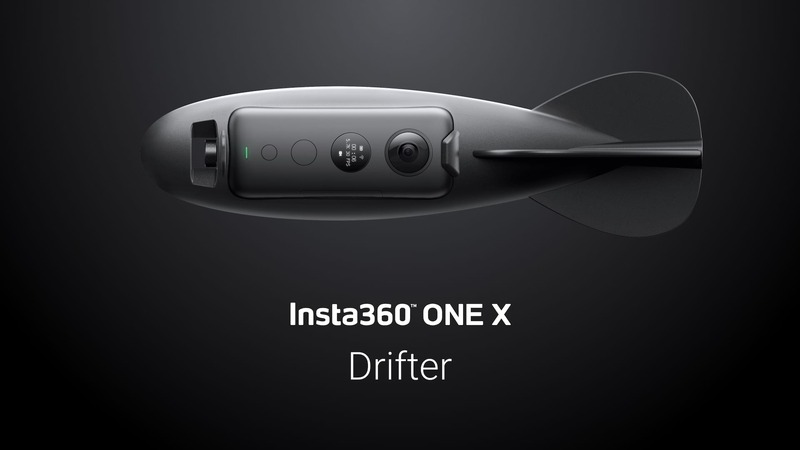 The Drifter is Insta360’s drone replacement. 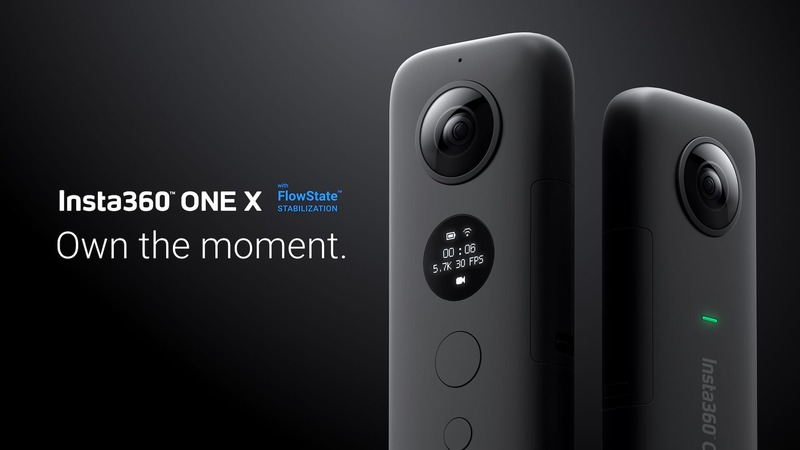 The One X has two options for shooting video off the ground. One is a simple 10-foot long extension pole which is automatically cropped out of the video and gives the illusion that the camera is in the air. No need to worry about drone registration and licences with this. The 2nd option is the cooler of the two and is called the Drifter camera dart. It looks a lot like a Nerf football, but there’s a space to insert the One X and throw it into the air. With an “active tracking” edit feature on the One X app, it means that you don’t really have to worry where the cameras are pointing either as you can lock on to a target, and the software will automatically follow it while adding stabilisation too. 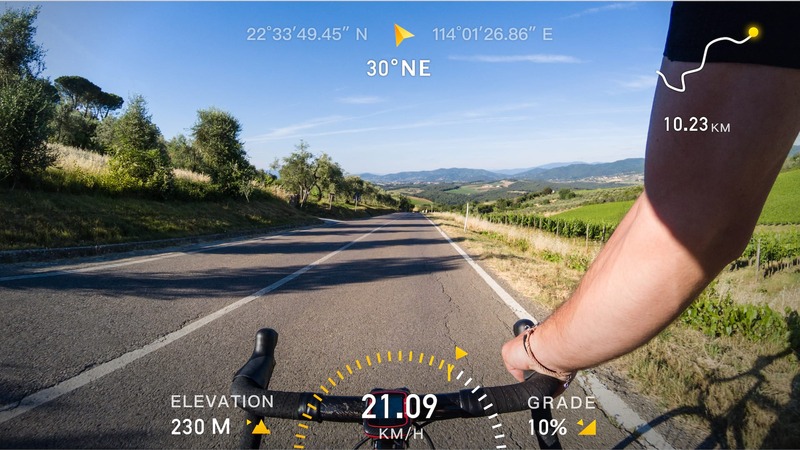 With the GPS Smart Remote overlays speed and location data. 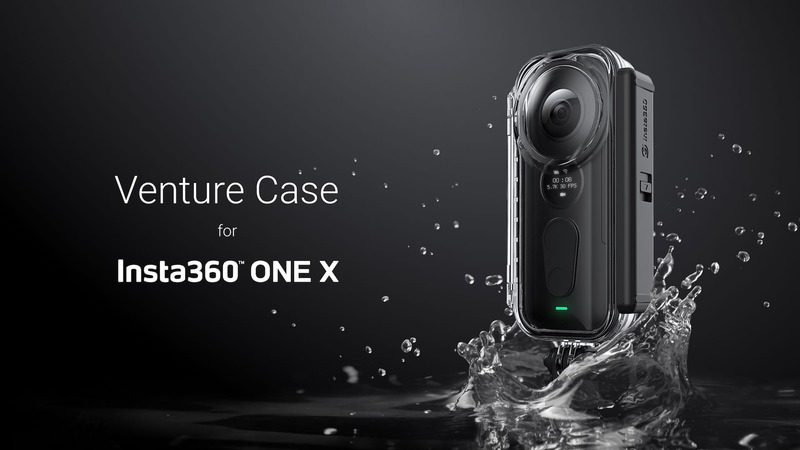 Other accessories will also be available for the One X including the Venture Case which offers, splash and shock protection, Dive Case for shooting video at depths of 30 meters, and a GPS Smart Remote that can overlay speed, direction and elevation details to the video. Venture case adds rugged protection and will work under water to 5 meters. Just in case 60 minutes of filming isn’t enough this spare battery dock lets you charge 2 additional batteries at a time. If you plan on hunting for the Loch Ness Monster you’ll need one of these. 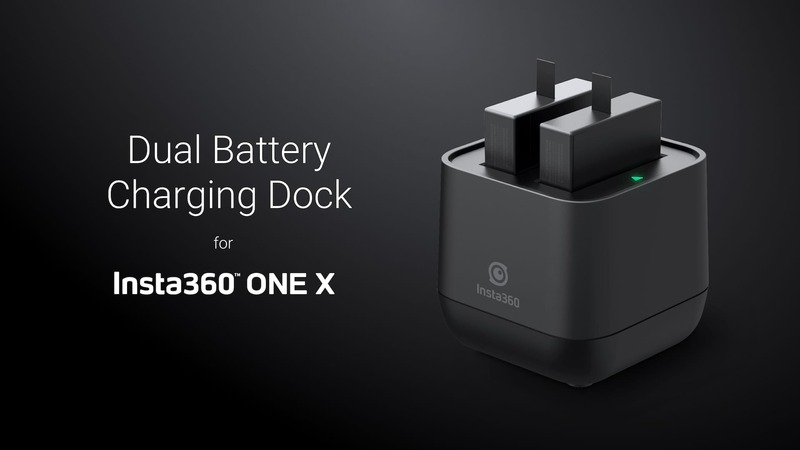 On top of all these features, the One X can capture 18-megapixel HDR photos and offers 60 minutes of continues video recording on a single charge. Pricing is pretty competitive too, with the One X camera costing $399.95, similar to a GoPro Hero 7 but with features the Hero 7 doesn’t offer. We’re hoping to get a One X in for review soon and will give you our impressions once it arrives. If you can’t wait for us to receive our test sample, or you want more details on the Insta One X head over to the official website here. 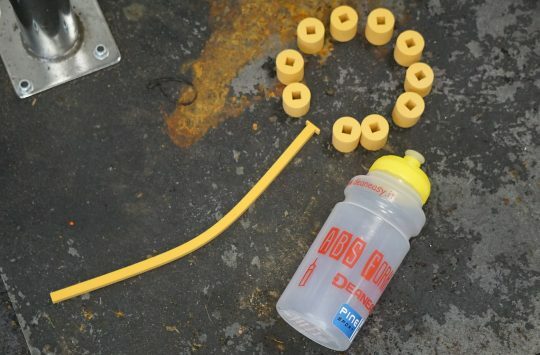 Fresh Goods 419: A Sensible Steel Hardtail, 2 High-Tech Action Cameras, Vampire Blood, And Hannah’s Feet. 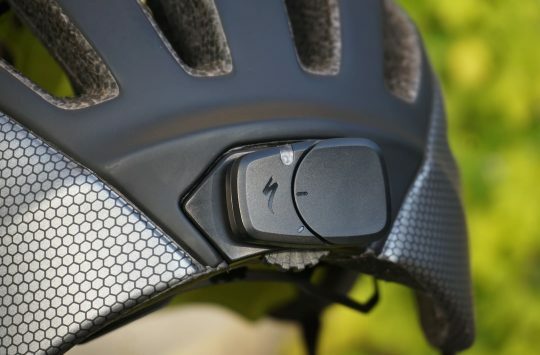 £439 for the Premium Bundle, looking at the promotional video on their website I’m not overwhelmed by how it’s any different, better, than a GoPro, just looking at it mounted on handlebars and helmets it looks susceptible to damage without purchasing the protective case which costs an additional £49, I’ll wait for the Singletrack review. Also looking forward to seeing a review. 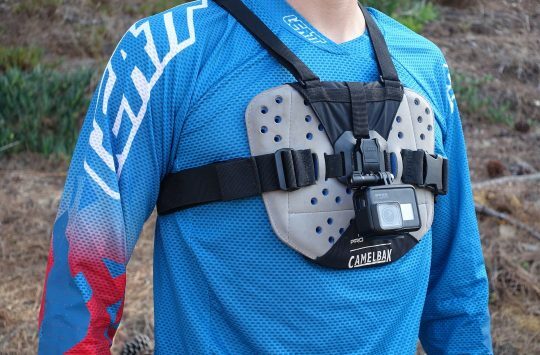 Though I’d say it’s a very different beast to a GoPro really – if you’re only planning on chest mounting it then you’ll not see the most benefit. Stick it on a helmet or a tripod and it’ll come into its own a bit more.